The Fame Bass Strings 45 – 100 finally offer the buyer the chance to replace their old tattered bass strings for a very affordable price. 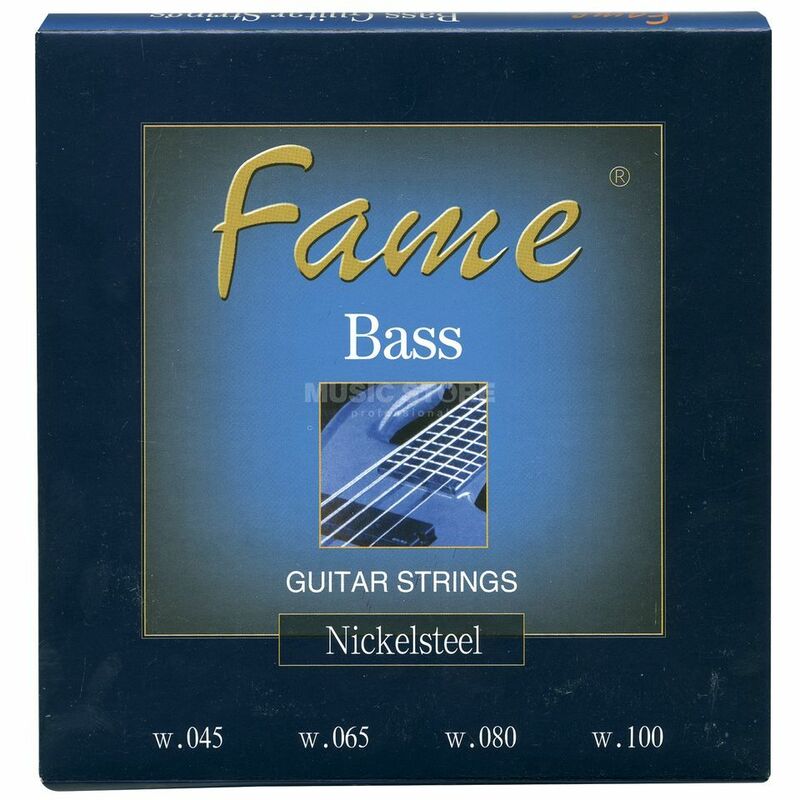 The Fame Bass Strings 45 – 100 are made from nickel steel and are round wound, resulting in amazing tone and quality. I like the sound of a ringing bass. Perhaps people who love soft enveloping sound these strings will not work: the sound seems pretty flat and high. For me the important readability guitar: fast music, no ductility, no residual overtones. I liked the sound when playing with your fingers instead of a pick: soft strings provide additional sound from a blow to the neck. Price is also very pleased: there will be problems with the replacement! The sound is much bright at start...but after 2 days they become more balanced. The feel on touch is very good,i can consider they smooth. The tension is also very well balanced...i usually play dr hi beams,and they feel like these.